In the southern direction, with only about 40 kilometer distance from the Mozart-town Salzburg, the idyllic town Abtenau unfolds its diverse attractions, which makes it a varying top-destination for young and old throughout the entire year. The surrounding mountains and the wide valley basin offer fun for sport and leisure lovers, not only in the summer. You can enjoy pleasant walks and hiking trips as well as cycling tours and adventure sports. In the winter, Abtenau impresses with snow safety conditions and a breath taking scenery. During the warm season, the Postalm, Austria´s biggest connecting alpine plateau, lures you out to refreshing attitudes. Already in the emperor days, the hiking enthusiasts appreciated this natural treasure. Furthermore 150 more attractions and sights are situated approximately one hour drive away and are waiting to be explored by the guests of the Active and Wellness Hotel Gutjahr in Abtenau. Explore these very different but still very attractive destinations with the Salzburg Land Card – with this card you may enjoy our regional treasures at an incomparable affordable price. Also during the winter months you may profit from a outstanding variety, which leaves no wish ungranted: during your holiday in Abtenau in the Lammertal, none less than 140 perfectly prepared and family–friendly kilometers of slopes in the ski region Dachstein-West are located at your feet. The attractive and cheap ski resorts Karkogel and Sonnleiten lifts as well as the Postalm-cable railway make the offer perfect. 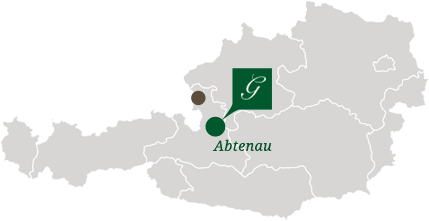 Apropos variety: in Abtenau and its surroundings you can find the perfect conditions for a cross-country ski run, snowshoeing or a romantic sleigh ride in the horse-drawn carriage. Whether summer paradise or winter magic: the Wellness Hotel Gutjahr convinces you with attractive packages. Our Hotel-Gutjahr-Team gladly informs you personally about insider tips and „must-sees“ of the holiday region in Salzburg Land.